Salt Lick Barbecue personified would be The Beatles. Or Elvis. Or Justin Bieber. 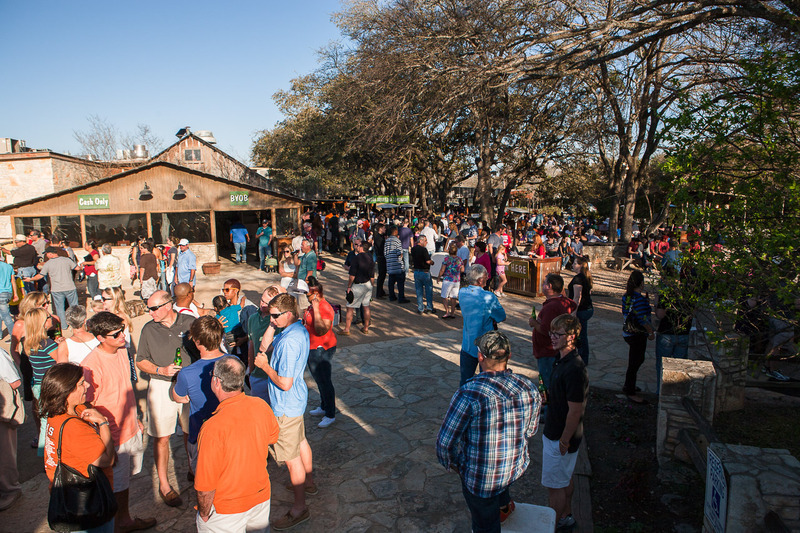 People flock to this Hill Country barbecue joint like teenager girls to one of the aforementioned's concerts. Don't get me wrong, the barbecue is fantastic. But people are intensely fanatical about this smoky tender Texas meat. Like I said, people are CRAZY about Salt Lick. Even though it's a solid 30 minute drive outside of Austin through the hill country, everybody who visits the city makes the pilgrimage down to Driftwood to eat their barbecue. It's been so popular that they've opened one in Round Rock, just north of Austin, and in Austin's airport. 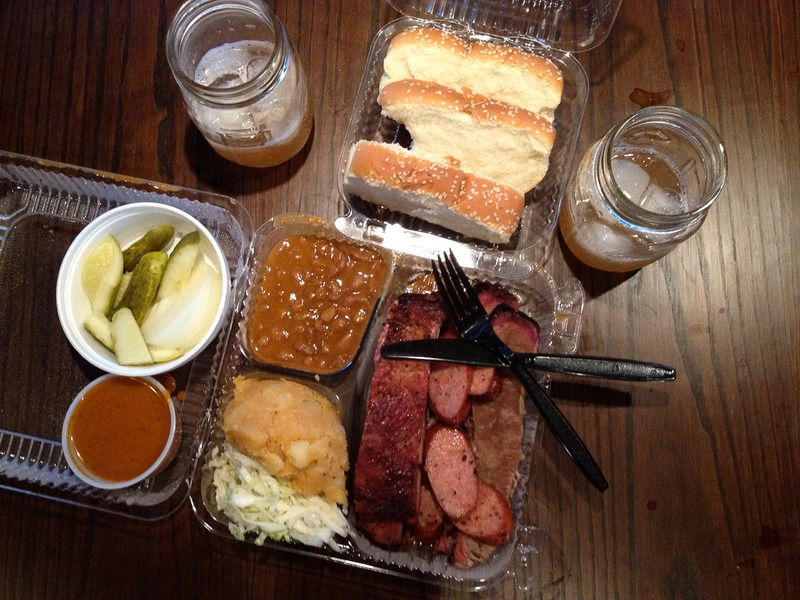 So that you can get your Texas BBQ fix up to the very last minutes you're in town. 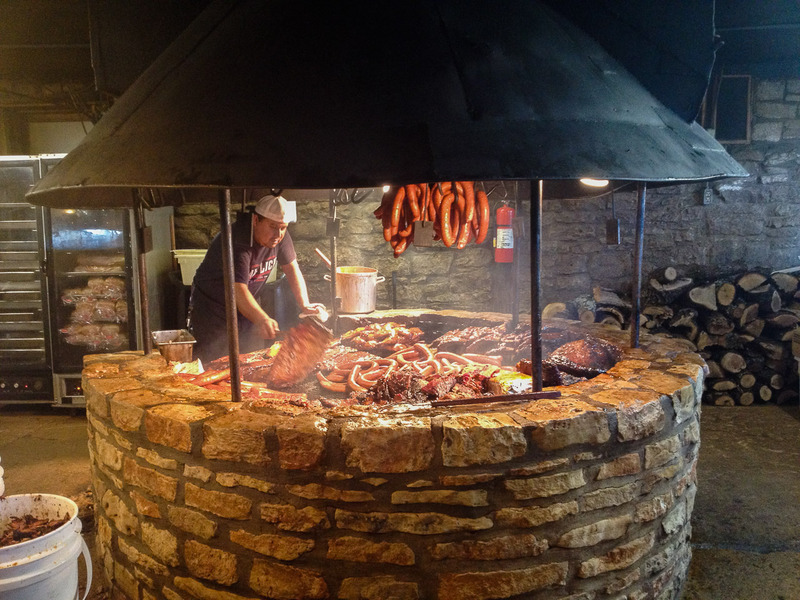 People who saw that we were in Austin kept telling us, "Go to Salt Lick! ", "You have to go to Salt Lick, it's sooooo goooooood!" and "Don't leave Austin without going to Salt Lick!". Alright, alright. I guess if we have to, we'll go eat really awesome barbecue. Life is hard sometimes. So we make the trek down to Driftwood and pulled into the parking lot on a Saturday around 6pm. It was packed. And this parking lot was double the size of a Walmart parking lot. We drove to the back lot, jaws dropped at the sheer amount of cars. We found a spot, parked and walked towards the giant BBQ complex. There were about 100 people standing around in the mega courtyard listening to the live bluegrass band and sipping on BYOB beers and fresh-squeezed lemonade, all presumably waiting for a table. After finding out from a hostess the wait was about two and a half hours (!?! ), we went with Plan B: takeout. Obviously, takeout BBQ is not the same experience, but our rumbling bellies were not waiting nearly three hours for brisket and cobbler. So we waited in the shorter, but still long, line to get our BBQ to-go. Mr. Pit Master tending to the meat. While waiting for our food, we walked into one of the many buildings, where we found the barbecue pit. A low circular brick wall with a grill laid on top had a fire roaring underneath it and mind-boggling array of meat sizzling away. The smell was intoxicating; crackling wood, charred meat, smoke, tangy sauce caramelizing on ribs, brisket, and sausage. The pit master let us walk around the barbecue shrine see the pit up close and take pictures. It was barbecue heaven. And we hadn't even tasted any. Our name was called after 20 minutes or so and we hurried out of the crowds to get home and devour our Texas feast. The Thurman's Choice, a combo plate that included brisket, pork ribs, sausage, potato salad, cole slaw, beans and white bread was a winner. The meat was exceptionally smoky and flavorful, tender with a crisp charred crust. For dessert, we couldn't decide between peach or blackberry cobbler so we got both. No contest, blackberry won hands down. Our Thurman's Choice platter, complete with bourbon-lemonade in mason jars. 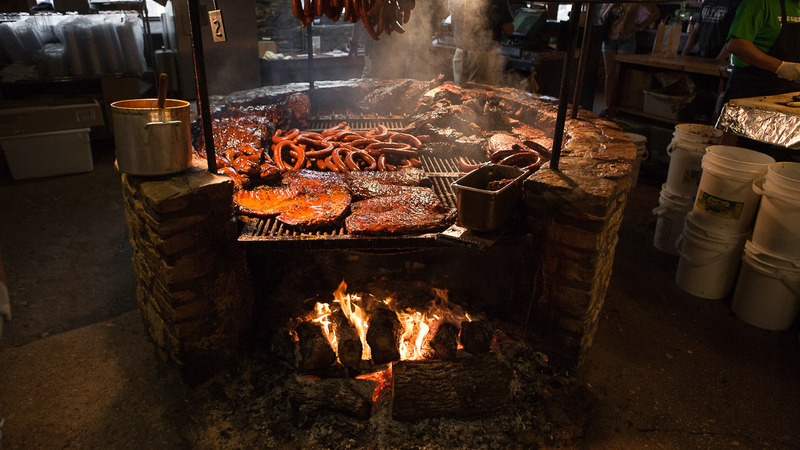 Salt Lick's crowds can be intimidating and waits frustrating, but the payoff is so worth it (and if you eat in, there's an all-you-can-eat family style option). 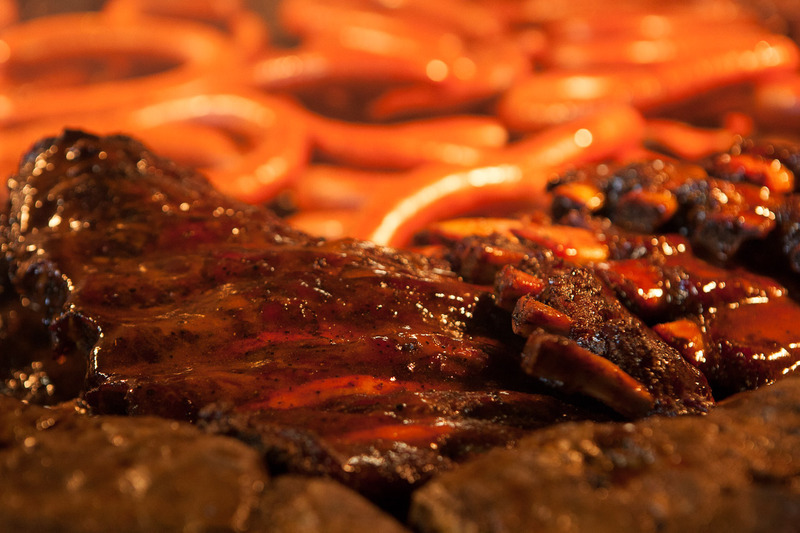 Or take the shortcut and eat Salt Lick's amazing barbecue in the comforts of your own home (or trailer) with a mason jar full of bourbon-lemonade to wash it down. Special thanks to allison g. (who suggested Get the Family Style meal, and don't skip the cobbler.) for making this blog post possible!